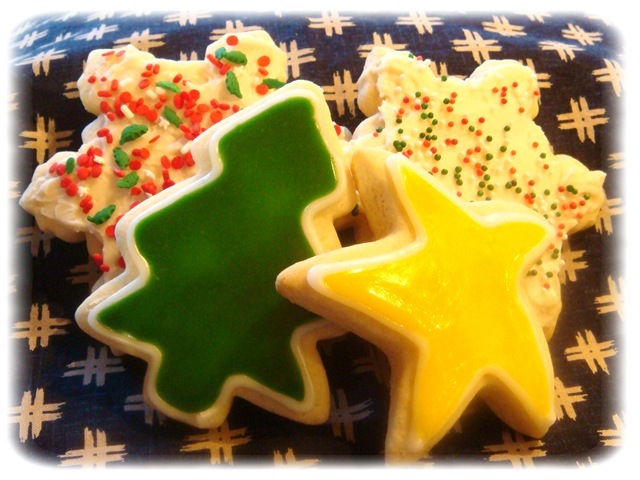 Sugar cookies! My kids and I love them so much. Thanks for your 12 days of Christmas list. I’ll go ahead and try the Cherry Nut Mudslides and Mint Oreo Cookies this weekend. Can’t wait. Cookies cookies cookies! Who doesn’t love ’em? These look great!! How many cookies did it make? It will depend on the size of your cookie cutters. I got about 6 dozen with cookie cutters that are about 3″ tall. I will often use half of the dough to make regular sugar cookies, and half to make the Raspberry Almond Linzer Cookies.